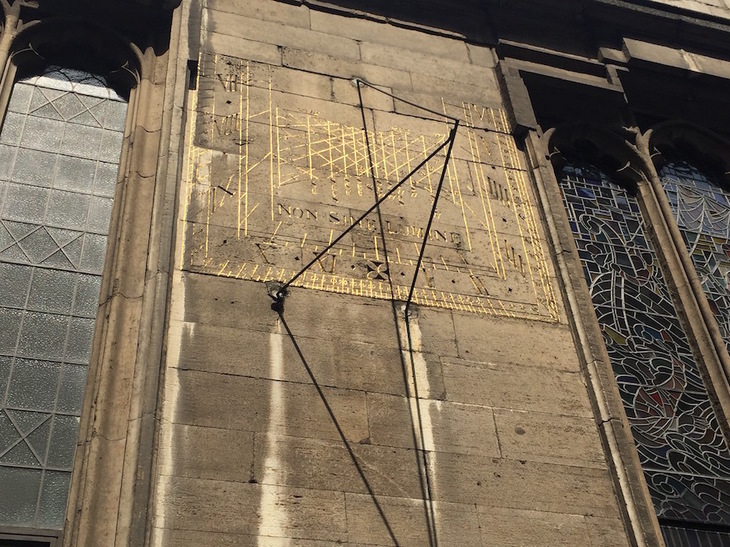 On a bright day, a sundial is the most attractive way to tell the time. 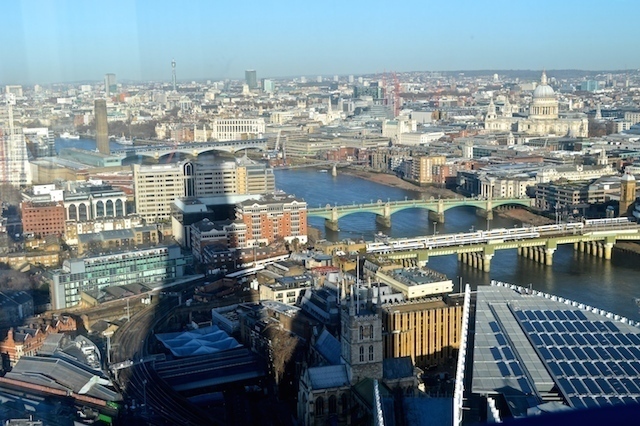 London has many of them, a variety of different ages and types which tell the time with shadows. Enthusiast Dave Hughes presents a small sample of his favourites to encourage further exploration. 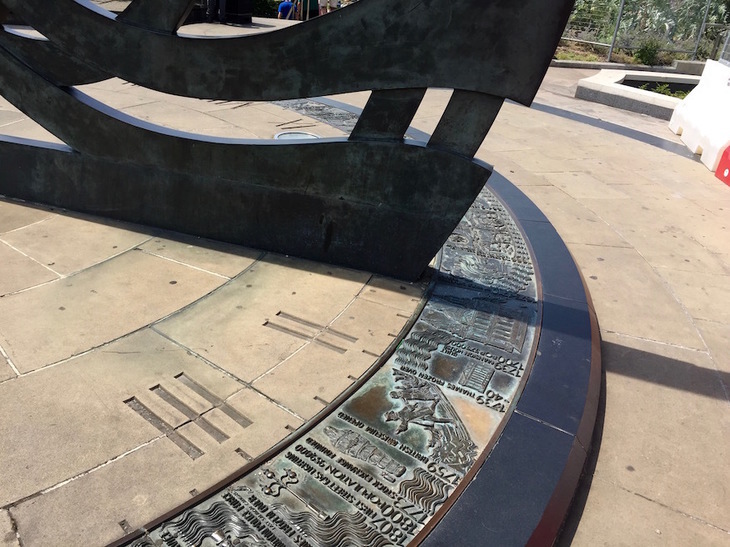 The most informative sundial in London is close to Tower Hill tube station. As well as telling the time, the circle of the dial tells the history of London and London transport. 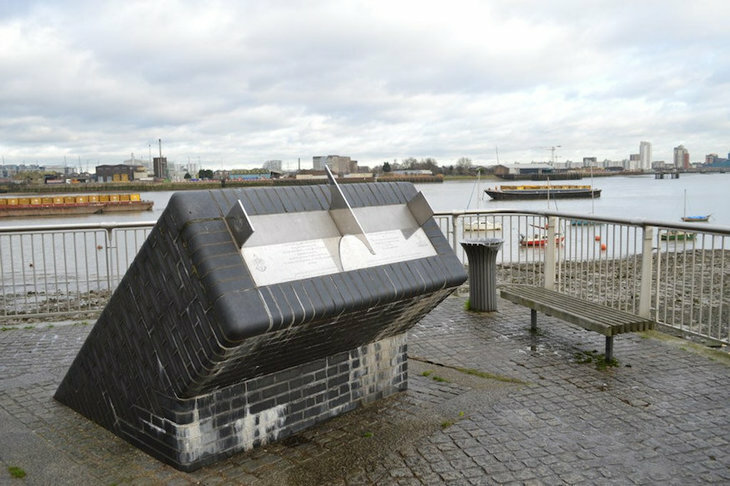 It runs from the Roman city of Londinium in AD 43 through to the building of the Thames Barrier between 1975 and 1982. Carved illustrations help tell the story. Look out for the pictures of Shakespeare’s Globe Theatre, and of an early omnibus. There’s even a mischievously carved ‘Maggie’ with a handbag, set between the Peasants’ Revolt and the Black Death. Not far away is St Katharine Cree church. 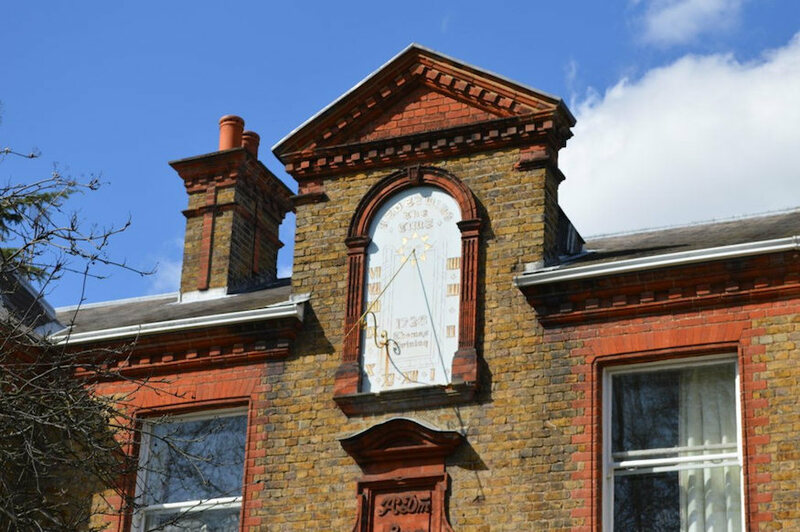 Of all London’s sundials, this is among the most atmospheric and aged. Over 300 years ago it was carved into the church wall facing Leadenhall Street. The complex patterns and gilded markings give a sense of real antiquity. The golden grid can be used to show the number of hours since sunrise and till sunset. There’s a motto: ‘Non Sin Lumine’ – nothing without light. 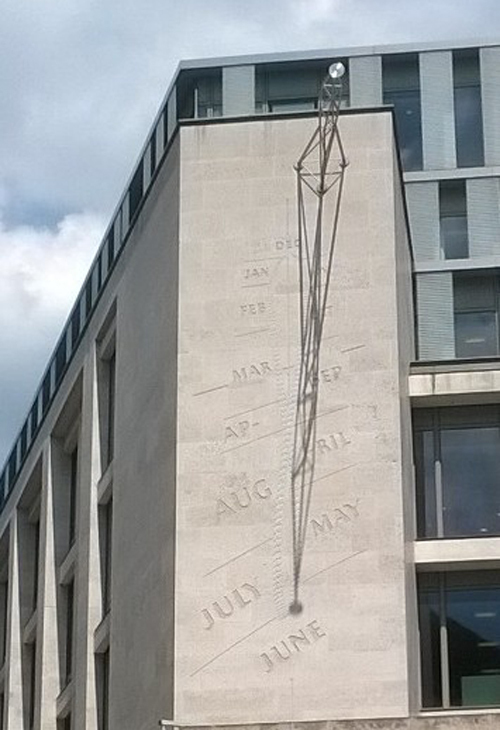 The Stock Exchange on Paternoster Square, where trading times are measured in fractions of seconds, has a much less precise sundial. If you’re there around noon, the length of the shadow will reveal the month. Only useful to the most confused traders. 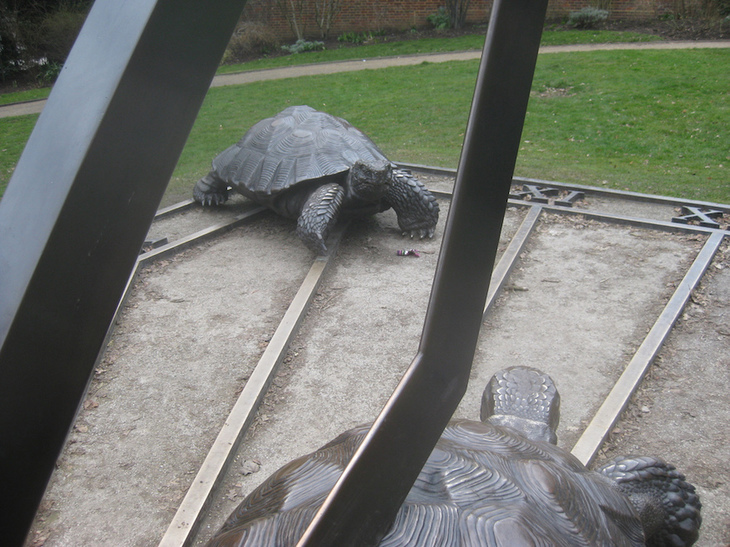 One of the most playful examples is the tortoise sundial close to the north-western edge of Holland Park. Designed by Wendy Taylor at the turn of the millennium, the gnomon (the pointer that makes the shadow) rests on the back of a female tortoise. A little way away on the edge of the dial, a male tries to distract her. The tortoises are beautifully sculpted. Intentionally or not, the tortoises mimic the way that the shadow moves at a tortoise-like pace, or indeed even more slowly, around the dial. Dial House in Twickenham was owned by the Twining family of tea fame from the 1720s until 1889. It is now the official residence of the Bishop of Kensington. 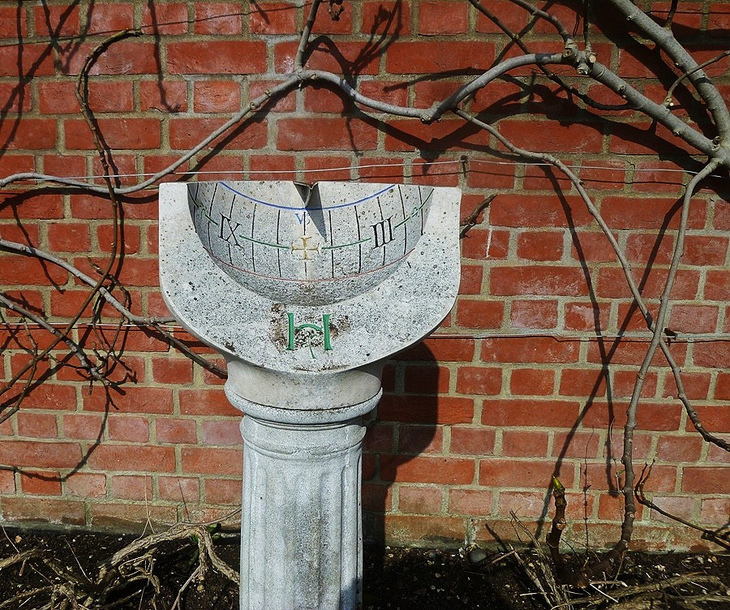 The sundial is labelled ‘Redeeming the Time’ and dated 1726. It’s not thought to be that old, but rather is from when the house was restored and altered around 1890. Either way, it’s beautiful on a sunlit winter afternoon. 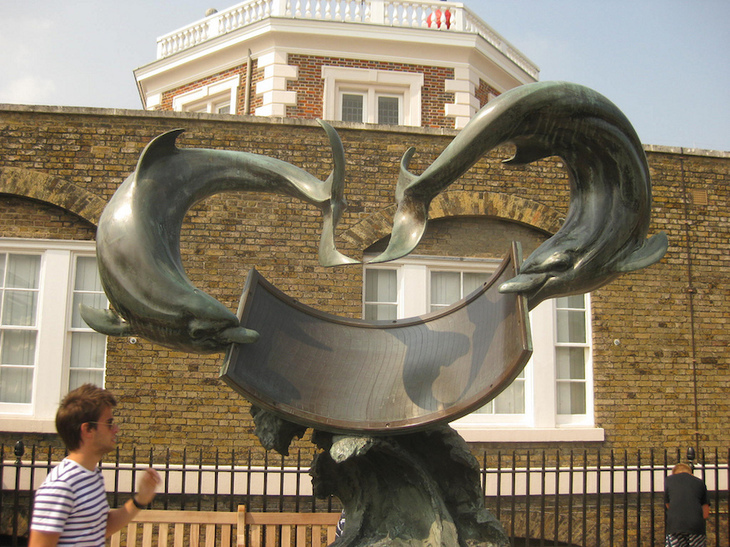 For a few more sundials, go to Seven Dials in Covent Garden. This is a junction of seven streets, laid out in the 1690s. 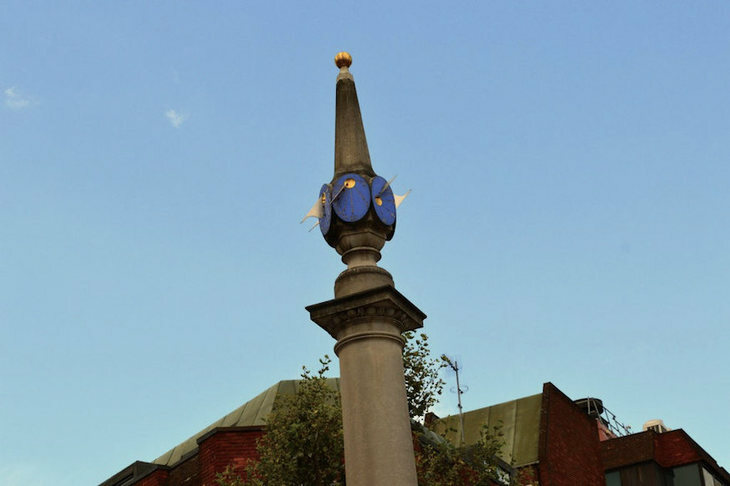 On the column in the middle, which is a modern replacement, there are actually only six dials. Arguably the column itself could form the seventh, as it casts a long shadow on the junction. 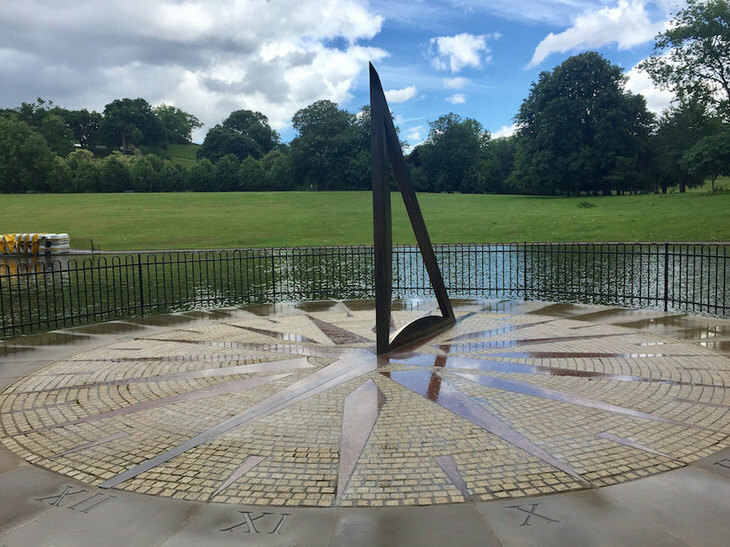 As with all sets of sundials facing different directions, the dials on each side show a different range of hours as the sun falls on them at different times of day. 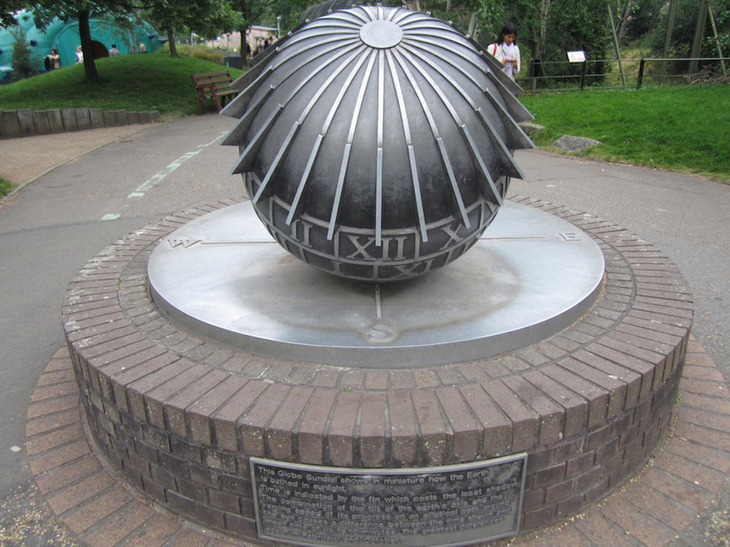 The biggest selection of sundials in London is not in the centre but in Horniman Gardens in Forest Hill. 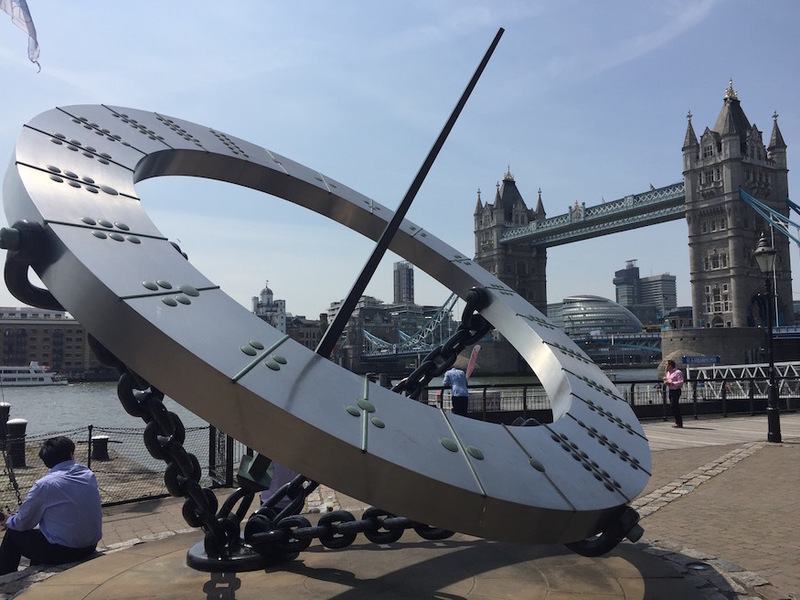 A trail of 11 dials of different types has been assembled over the past 25 years, in a partnership between the museum and the British Sundial Society. There’s even a ‘tea-time dial’ which only shows the time between 2.30pm and 6pm. The museum provides a leaflet with a map and explanation of how each dial works. 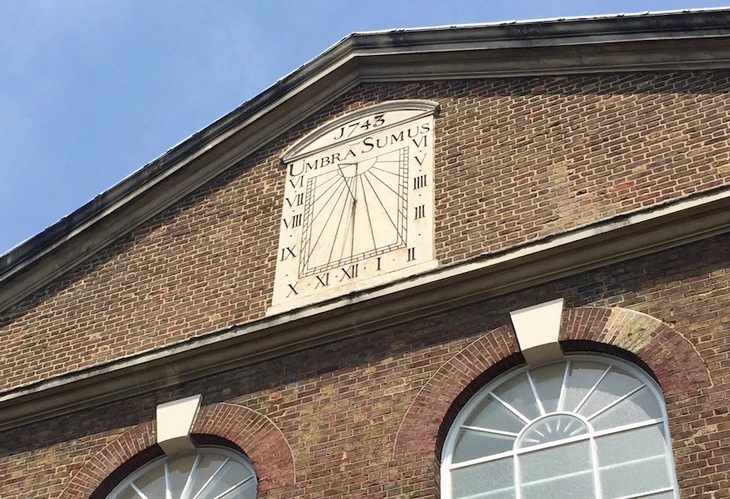 Maybe the most apt epithet is on the sundial dated 1732 on a building of the same date in Fournier Street, Spitalfields. This building has been successively a Huguenot church, an evangelical chapel, a Methodist chapel, a synagogue and is now a mosque. 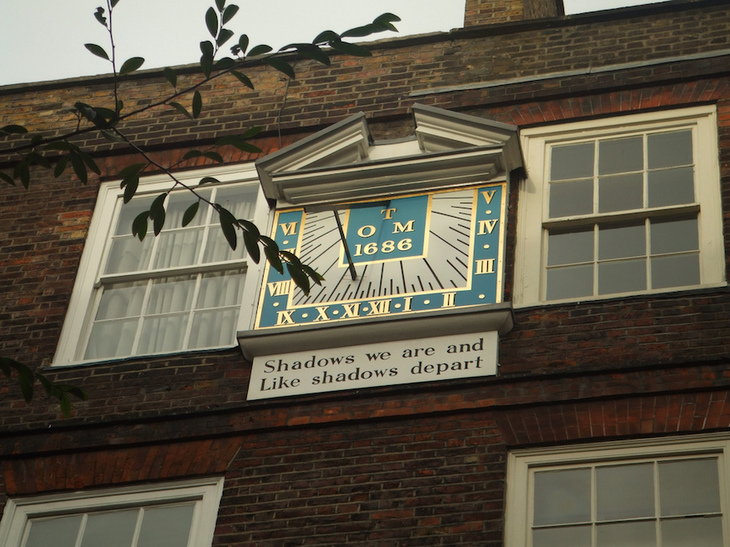 The motto ‘Umbra Sumus’ — We are shadow(s)’ — reflects the changing nature of this part of London. Words by Dave Hughes. 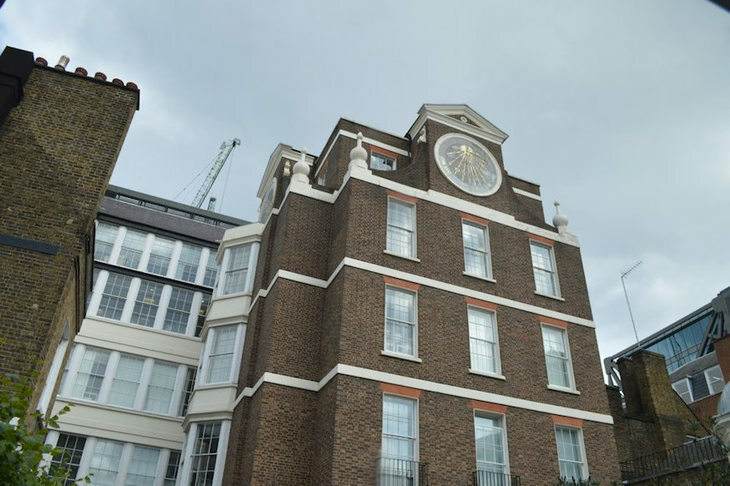 The author is currently leading evening walks on the theme ‘Time for a Walk’ exploring London’s clocks, bells and sundials, for Central London Outdoor Group (CLOG).